Starts a bit slow, but really kicks into gear after a few chapters. I'm at book six, and have stayed up late just to see what happens next. No one is safe, and the technical jargon is spot on and adds to the depth of the story. The reader is excellent, and that really makes it work. A definite must, if you are a fan of the Zombie Apocalypse! 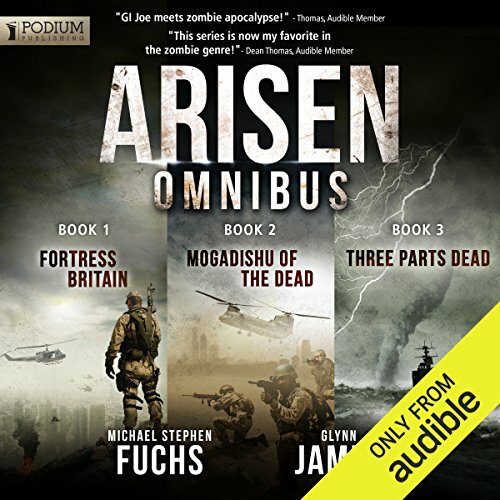 If you could sum up Arisen Omnibus Edition: Books 1-3 in three words, what would they be? The best, couldn't put it down. What does R.C. Bray bring to the story that you wouldn’t experience if you had only read the book? They could make a TV series out of it. There are some parts where the authors stretch it out a bit, but then again, it is the Zombie Apocalypse we're talking about. A good overall book, or collection. Characters are lacking a bit and it is formulaic, but the action is good, it is fast paced and entertaining. Not sure if I'll keep reading the series. I don't think the next books are sold as a collection so not great value. RC Bray is a legend. Brilliant writing, just the right mix of enthralling, characyer development and keeping things moving. This series might have been the benchmark a few years ago, but it’s now showing its age. Fairly poor character development and it’s hard to stay invested in what happens to any of them. Hopefully it gets better. R.C.Bray is however awesome as always. Have you listened to any of R.C. Bray’s other performances? How does this one compare? This is an omnibus of the first three books in the Arisen series, of which there are now 8 in total. To say it is a zombie apocalypse story doesn't really do it justice. 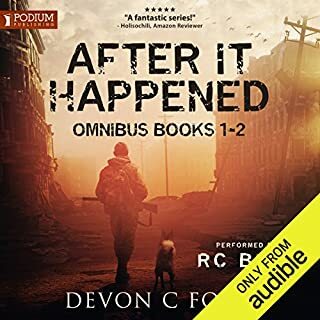 This is a well thought out, plausible and realistic story, covering the actions of the military (UK and US), rather than small bunches of non-military survivors. Although the American narrator occasionally mispronounces words, the story is absorbing and moves at a good pace. Highly recommended if you like your zombie apocalypse gritty and realistic. I hate to give this a mediocre review after seeing all the enjoyment it's brought to others, but I have to be honest, and personally, I couldn't rate this anywhere near the full 5 stars. That may possibly be because I listened to this straight after D.J. Moyles 'The Remaining' series, and this is ........ not as good. I love R.C Bray's style and narration. He does a fantastic job of capturing the excitement and pace of the novel, he's entertaining, engaging and absorbing - but the guy cannot do a British accent ! Asking him to do a dozen or more is just cruel. Imagine getting Al Murray to narrate a book with 12 separate and distinct French accents and you get the picture (ie - its not going to end well).. The characters - especially in the first book - are a bit flat and stereotypical of what you'd expect the Hollywood version of a SAS/Seal/Bruce 'I'm Hard' Lee/Special Ops team to be. Remember the cigar chewing mercenary in Predator? ("You're bleeding" "Hell, I aint got time to bleed"). That's pretty much everyone - except the Brits who mostly sound a touch effeminate (see above). The story is actually pretty decent. It's fast paced and there are a couple of surprises if you stick with it. Mr Bray, within his limits, does a great job with what he's given to work with, and his material does get better as time goes on. I bought this as the trilogy release, and I feared it would be a DNF, but I'm glad I stuck it out. Zombies, Spec Ops, Like Them, You Will Love This! Well, hell's teeth I've become a fan of Zombie novels! Never thought it would happen but somehow it has! 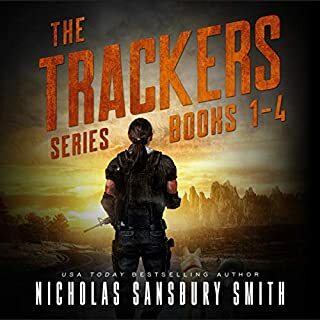 This series is a fast-paced and action packed book stuffed full of tough, uncompromising Special Ops characters and every zombie cliche you can shake a stick at. 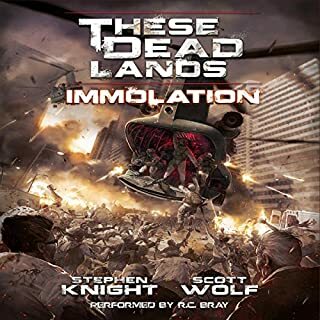 But don't just write it off if that all sounds a bit predictable, having listened to all of the series currently on Audible UK the action is unrelenting and there are some clever twists, innovations and great set piece battles to enjoy at almost every stage. The package of all three books together was an excellent idea, I was at first put off by the shortness of the original three titles but this compilation is an excellent use of a credit. Great idea. 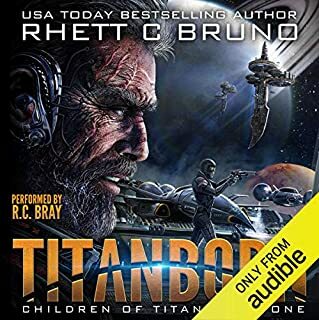 The narration is genuinely good suiting the pace and character of the books. A tough, uncompromising tone reflecting both the story and the characters that populate it. Non-serious note for UK listeners . 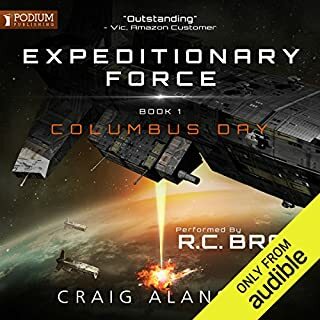 . . when I originally read the summary part of the reason for buying was "Fortress Britain", finally not a book about the Americans saving the world I smiled to myself! Alas it's not so, us "Brits" got lucky with it being a pure fluke that Britain stood tall! Well that and our willingness to machine gun the French apparently! 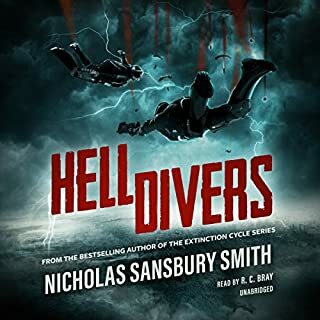 It is still the US saving the world but don't be put off, us Brits do get to play a part and even though the narrator struggles with the English accent it won't put you off at all. I have read and watched looooots of zombie themed books/ movies and the current batch seem to be getting stale. 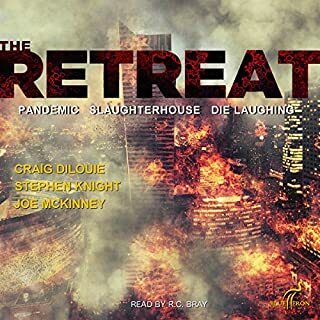 This 3 part audio book is great, a nice return to good story telling and pretty original, or as original as zombie stuff can be. Some of it is slightly unbelievable, but hey.. Zombies. Ami would recommend this book and I will be buying any more follow ups. I would not spend a credit on a single 5 hour version though, this is 3 of the 5 hour books, well worth your money. Its total pulp but its great fun and the action ticks along at a fast pace. Only criticism is the author hasn't done a great job researching kent. glad I got omnibus edition. As well as good value it means you're not waiting to download next book! Like the development of different strands of the story. Good narration but could have got someone who can do a British accent!!! 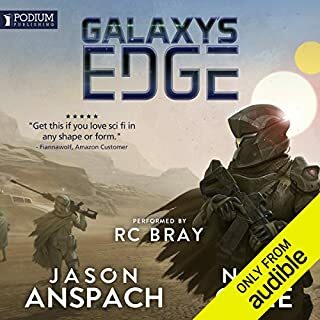 Just loved this audio collection. Great action, amazing story. Can't wait for the next collection in this awesome series. Loved it! I have to admit, I'm a sci fi girl, but I picked this up because I'd some credits to spare and liked that it's 3 books in one. Bargain. I liked the read up and being a Brit thought yey, someone who might actually get us a little. I did think that R.C struggled just a little in the first book with the brit accents, but by the time I'd got through to the third, I think he'd really settled into it and I began to enjoy the whole performance. I have to say the characters also started out a bit flat. 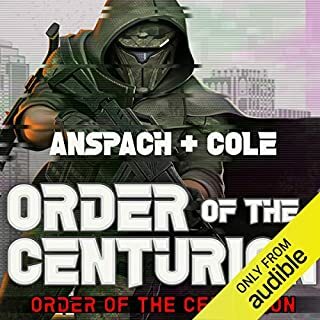 2D kinda military people who just seemed to get on and do their job no matter what was thrown at them, but by the end of book 3 I'd started to really connect with them all. The military bravado is just that, a huge attempt to just get on with the really crap situations these guys just seemed to keep finding themselves in. Thanks to both narrator and writers, who together made a really good team, and I'm looing forward to seeing how this all plays out. Lonely Mall Night Shift Gold. Best take on Zombie story I've heard in a long time. 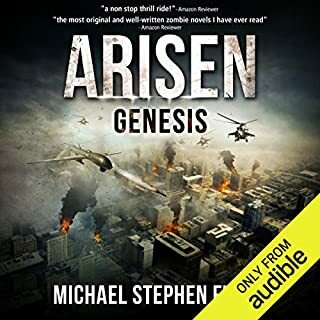 And good way to start Arisen Series. 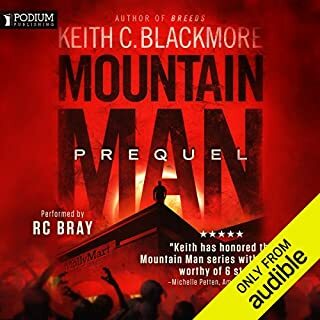 R.C.Bray as always is one of the best narrators out there. 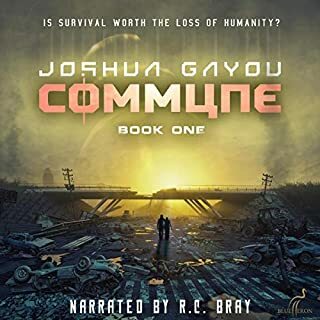 Listen to quite a few of Audible book series over past few months. Mostly Space Oprah's. But glad I tried this, will be adding rest of Arisen Series to my wishlist but with 12 books and 2 others 0.5 & 8.5 may take a while.